The Backpack Program was created to break the cycle of hunger and food insecurity for children in low-income communities by providing them with healthy nutritious food that are easy-to-prepare, to take home on weekends or extended holidays throughout the school year when other resources are not available. 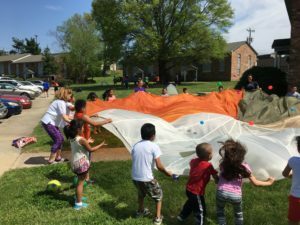 Founded in 1967, Greensboro Urban Ministry is an ecumenical outreach agency supported by more than 200 congregations representing Protestant, Catholic, and Jewish faith traditions. Not only does Greensboro Urban Ministry provide crisis intervention and emergency services through the basics of food, shelter, and clothing, but we also help many individuals and families break the cycles of poverty, hunger, addiction, and homelessness. For the past several years our church has provided food for many children in our community who may not have had adequate food during the summer weeks. Because of the support and many volunteers from our church and community, we are able to continue this very important program.Thanks to the donations from companies and individuals, we are able to provide a variety of healthy lunches at significantly reduced prices. The children enjoy a variety of enrichment activities each day after lunch, including visits from firefighters, police and K9 units, magicians, musicians, and the Eco-Bus. The 2017 Program will begin in July 11 and end August 9. 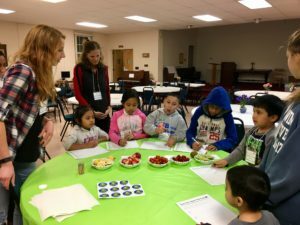 Sedgefield Presbyterian Church and Hinshaw UMC, in partnership with Second Harvest Food Bank of NWNC and Interfaith Shuttle, sponsor a Cooking Matters program in our neighborhood. We currently offer at least three 6-week courses per year for economically challenged members of our community. Participants learn about nutrition, cooking, and grocery shopping for healthy meals on a tight budget. Our next class series will meet from 6:00-8:00pm on Thursday, Sept 14, 21, 28 & Oct 12, 19, 26. Sedgefield Presbyterian Church and the Bonung Alliance Church oversee a grant they have received to assist new Montagnard immigrants. SPC provides hospitality for the Bunong Alliance Church which shares our facilities each week. This partnership provides an enriching fellowship and worship events for both congregations. In addition, there is a joint committee from both churches that assists in providing scholarships to newly arrived refugees.